Discussion in 'Everything Else Archive' started by guitarded_1, May 8, 2016. 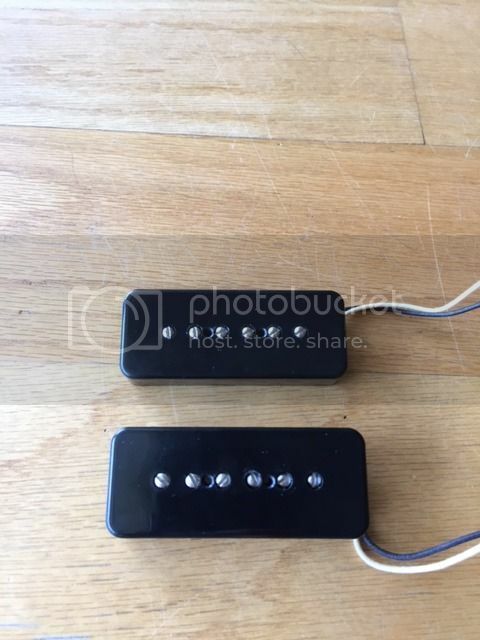 Up for sale is a set of Lollar soap bar P90s with black covers. Considered to be some of the best sounding P90s ever made, and for good reason. The neck pickup is a 50's wind model measuring 7.25k. 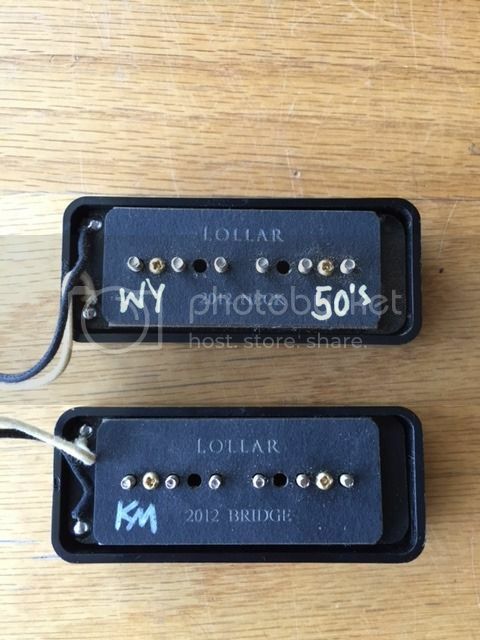 The bridge pickup is the standard model measuring 9k. Together, this set can pretty much do it all from bark and grind to sparkle and chime. Just a boatload of balls and detail. These are in great condition. $160 shipped.